Jennifer Todd McDonough has been a faculty member at Virginia Commonwealth University (VCU) and working in the field of employment for people with disabilities for over 20 years. She earned her M.S. from the Medical College of Virginia at Virginia Commonwealth University in Rehabilitation Counseling. 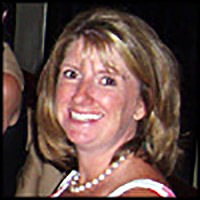 Ms. McDonough is the Associate Director of Training at VCU-RRTC. She is also the Project Director for two national research studies - one related to customized employment for transition youth with ASD and/or ID and one related to employer practices of hiring and retaining employees with disabilities. Additionally, Ms. McDonough provides technical assistance and disseminates resources nationally to individuals with disabilities interested in employment. Ms. McDonough is a national expert on Social Security Disability Benefits and Work Incentives. She also serves as the Virginia Project SEARCH Statewide Coordinator and directly oversees four Project SEARCH sites for youth with autism and/or intellectual disabilities. Throughout her career with VCU-RRTC, Ms. McDonough has worked directly with individuals with disabilities assisting them in locating employment and determining accommodation needs. Brooke, V. & McDonough, J. (2008). The facts ma’am just the facts: Social security disability benefit programs and work incentives. Teaching Exceptional Children, 41(1), .